THE PHYSIQUE PAVILION IS BACK AND IT'S EVEN BIGGER THAN BEFORE! Join us once again at Therapy Expo this November and help us celebrate our 20th anniversary with amazing live demos, offers, plus new and exciting products! 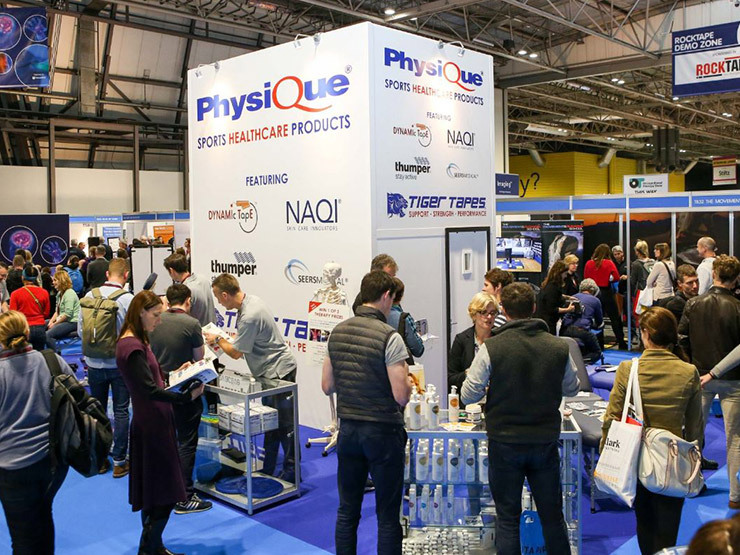 As leaders in Sports Healthcare Products, we want Therapy Expo 2018 to be the best show ever, that’s why we’ll be joined by more leading brands such as Tiger Tapes, NAQI, Thumper Massager, BSN Medical and Dynamic Tape. Whatever therapy essentials you need, you can rely on Physique. Watch, interact and ask the experts as they demonstrate their individual techniques with the most innovative therapy products available. For more information about the event, visit Therapy Expo. And, for the latest news, check out our Facebook events page below.